Last week’s judgement, by the South African constitutional court, that President Jacob Zuma acted unlawfully in his responses to the Nkandla scandal, are a triumph for good governance. I am often asked what data governance will cost. The Nkandla scandal has been dragging on for nearly seven years. The initial public protector’s investigation, and the subsequent court cases brought by the major opposition parties have cost millions. Zuma and his government’s attempts to defend their actions have cost millions more. Good governance comes at a cost. The cost of failed governance, however, is even higher. The ruling is another blow to President Zuma’s attempts to capture power. In making this ruling the Constitutional Court has restored some faith in the reputation of South Africa as a safe investment option – the rand strengthened substantially against the dollar in the minutes following the judgment. Should the Court have ruled in Zuma’s favour they would, arguably, have signed the economic death knell for South Africa. 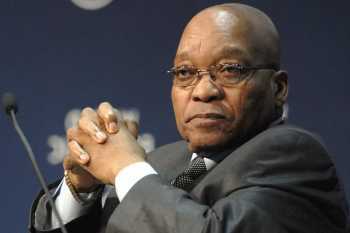 The Nkandla saga is not complete, but clear boundaries have been set – no one is above the law. By defining policies and principles for the acceptable use of data and information it helps to ensure compliance with regulation – such as Know Your Customer (KYC), the Consumer Protection Act (CPA) and many more. Importantly, good governance should also consider corporate ethics for the use of data! What are the boundaries that, while legal, the business will not cross as the potential reputational risk may outweigh any benefits? By identifying and prioritising data projects according to business goals and priorities it reduces wasteful IT spend while optimising delivery. Poor data management practises cost businesses hundreds of millions of rands – mostly absorbed as operational or It project costs. Good governance will reduce this waste and should more than cover its costs in doing so. Lastly, good governance has a role to play in the delivery of value. As organisations are increasingly differentiating based on advanced analytics, Customer Relationship Management and other data intensive programs – the value of good data becomes more obvious. Data governance defines how this value will be reached, and helps to ensure that the projects put in place to deliver this value are effective. How many “Nkandla’s” does your business have? Maybe they come in the form of massive overspend on a particular pet project. Maybe they come through a lack of understanding of the implications of new legislation, or through the overwhelming complexity of just trying to keep up. Data governance helps to manage this complexity, to identify these oversights, to ensure budgets are promoting corporate priorities. Data governance is a key element of corporate governance – time to give it the attention it deserves.